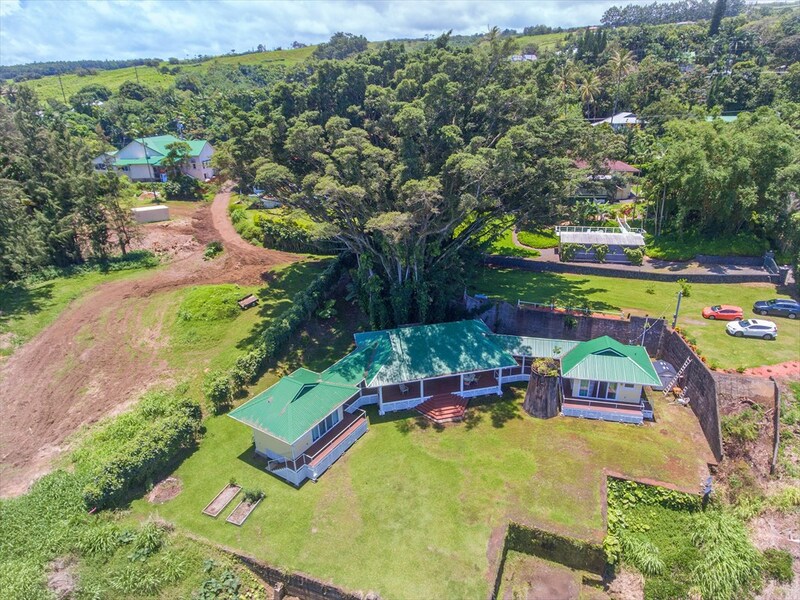 A uniquely designed home that incorporates historic plantation details with an awesome ocean view. This home was created to celebrate both the rich history of the area, and the natural beauty. Features of the former sugarcane processing plant remain, and are cleverly included in the landscape as interesting focal points. Each of the 2 bedroom suites and the central living suite are separately keyed for independent living, with covered walkways connecting each. 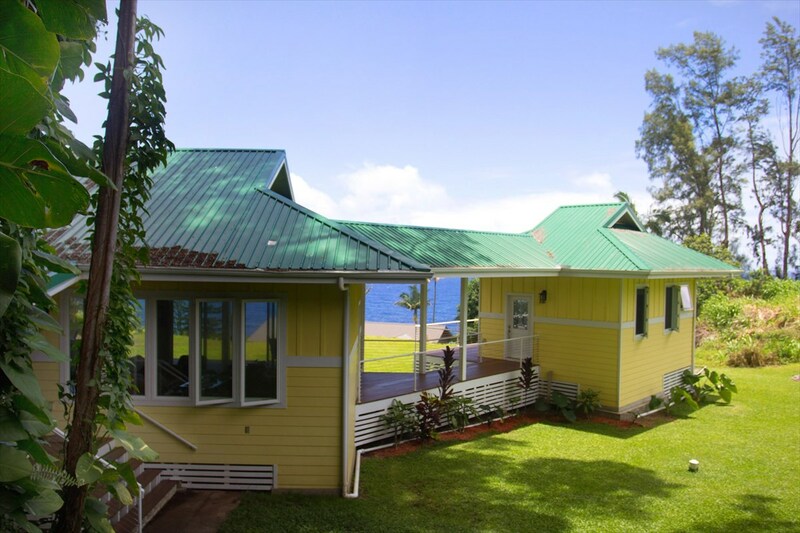 Enjoy clean air and sea breeze throughout the property! 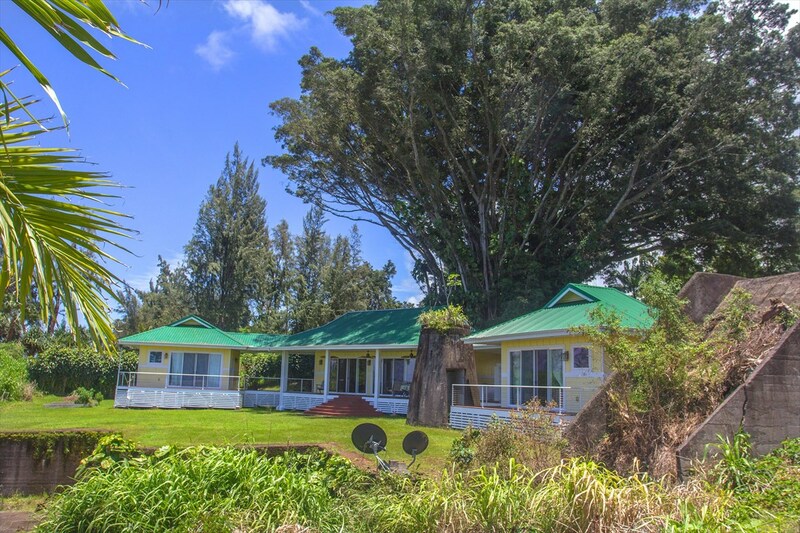 The Papaaloa Country Store & Café is just a few minutes walk away, featuring a full bar and live entertainment. The owners have used care in selecting custom home details. 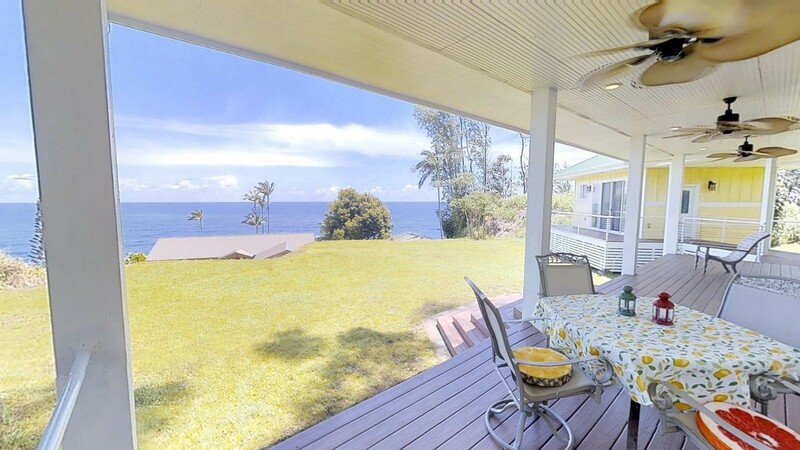 The entire home has been created to take advantage of the spectacular ocean view. 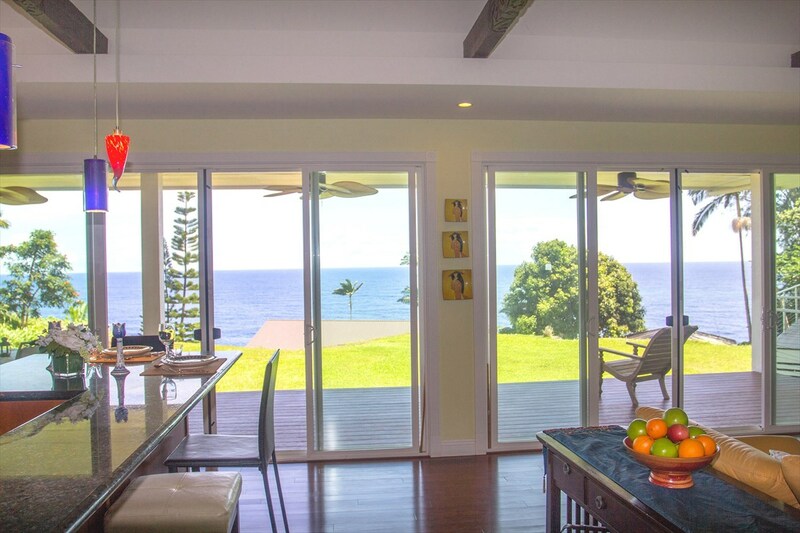 The great room and bedrooms open onto the expansive ocean-view lanai. In the great room, look up to the cathedral ceilings and you will notice massive hand-carved wooden beams from Indonesia. 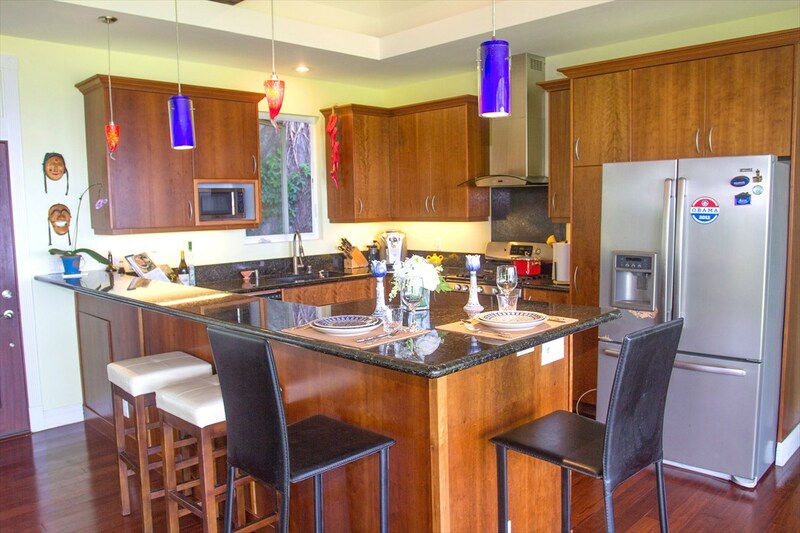 Central to the home is a chef’s kitchen, with stainless steel appliances, granite counters, custom cherry veneer cabinetry, and a breakfast bar for casual dining. 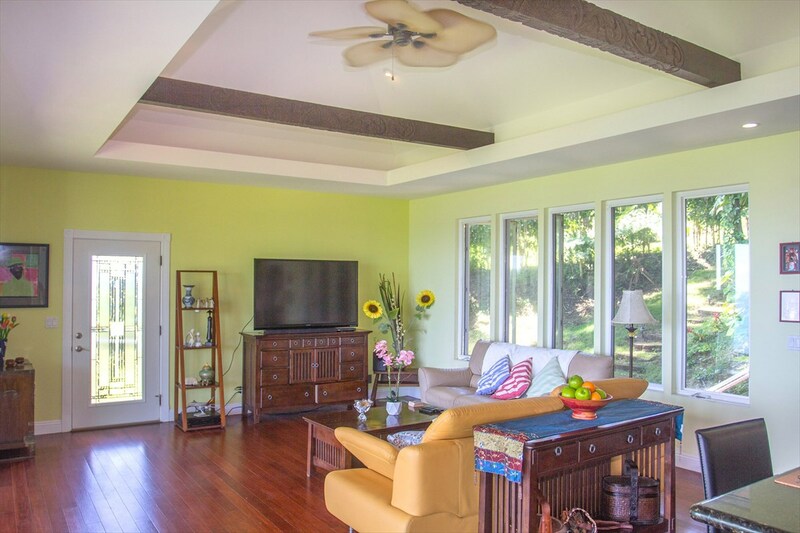 If you prefer, step out onto the lanai for additional covered dining space that is cooled by the trade winds and built-in fans. 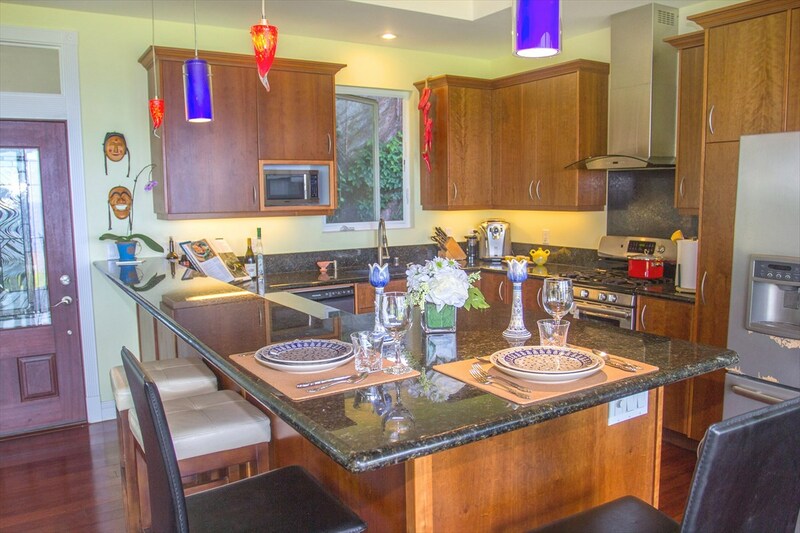 There is also a built-in outdoor kitchen area with sink, cabinets and granite counters. In the bathrooms reflexology stones have been thoughtfully placed in front of the basins. The floors are made of gleaming strand bamboo. A laundry room with LG brand front loading washer & dryer has beautiful built in cabinets and shelving and a granite topped counter for folding. The exterior is sturdy hardi-plank. The extensive wrap-around decking is made of easy-care composite material which doesn’t splinter or need paint. 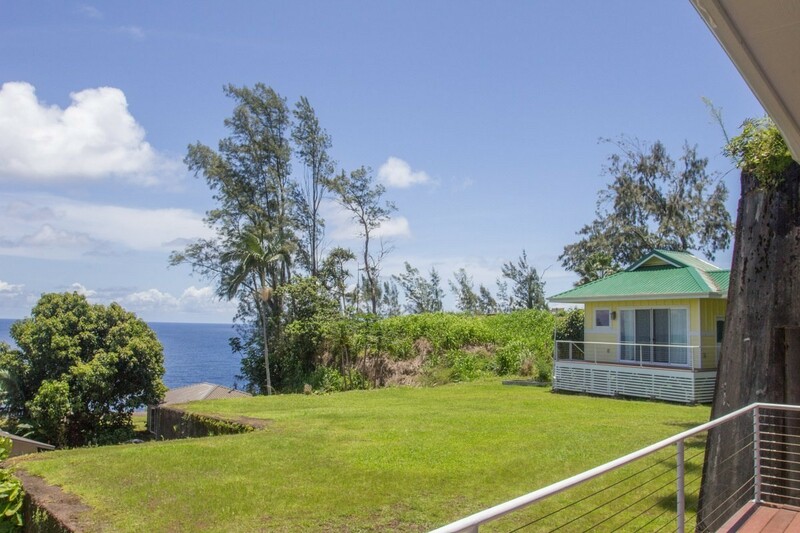 Located in Papaaloa, on the Hamakua Coastline, this custom residence takes full advantage of an almost 180 degree ocean view. The modular design of the home allows for versatility in how you choose to use it. A uniquely designed home that incorporates historic plantation details. 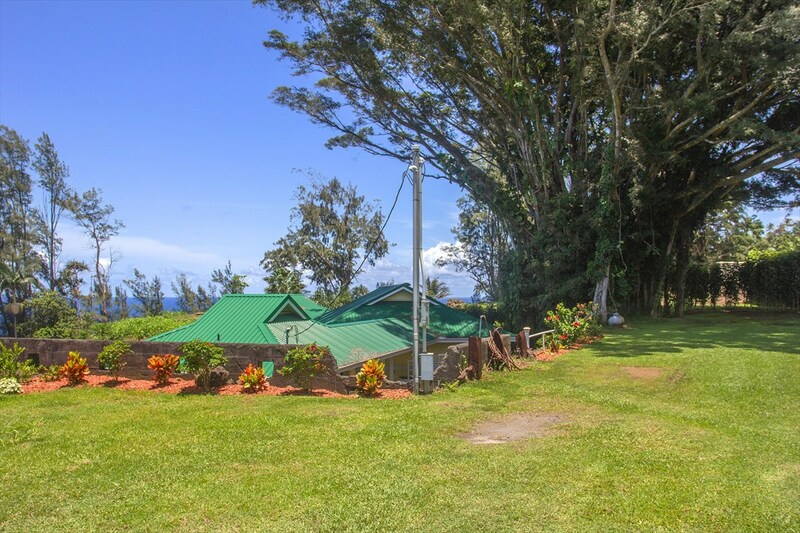 Located on the historic Hamakua Heritage Corridor, this area north of Hilo has clean air and gentle trade winds. 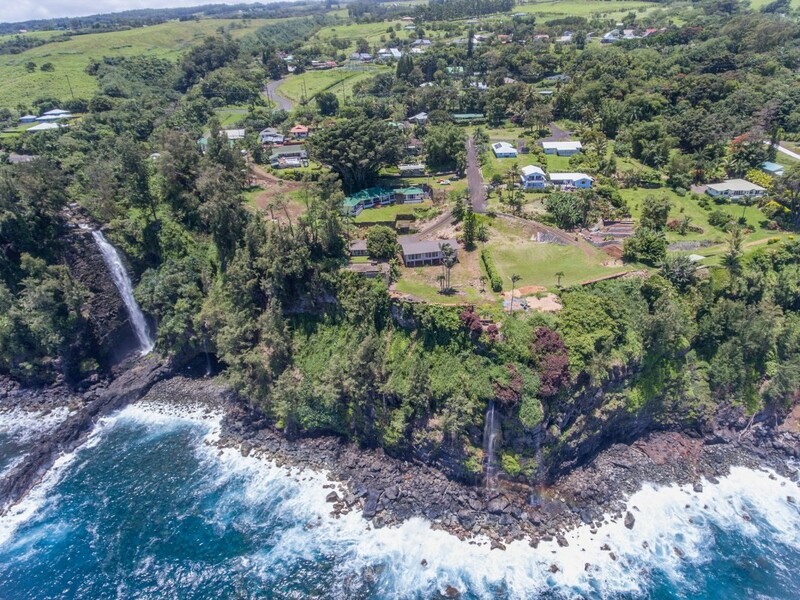 An aerial view view of the home shows the proximity to ocean and nearby waterfall. You can hear the sounds of the waterfall from the property. 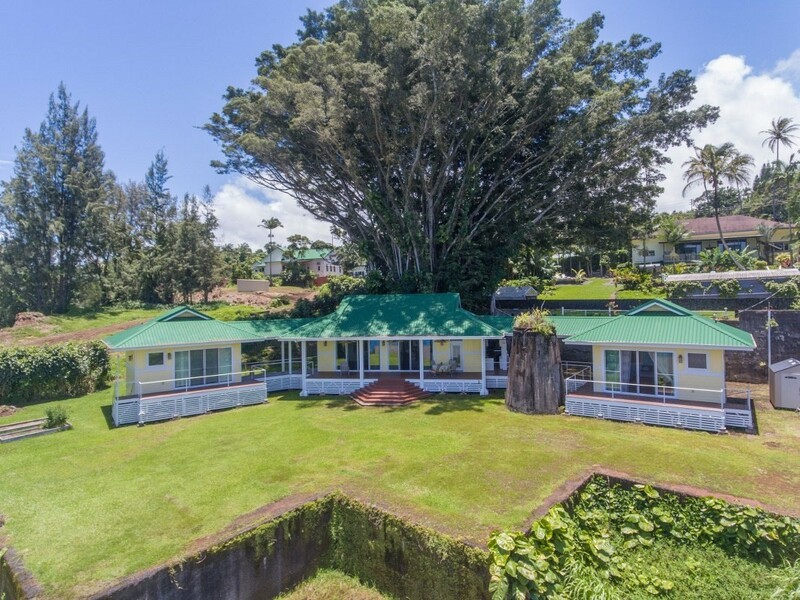 Three separate buildings, connected by a breezeway and spacious lanais. The central building houses the kitchen, great room and laundry areas. 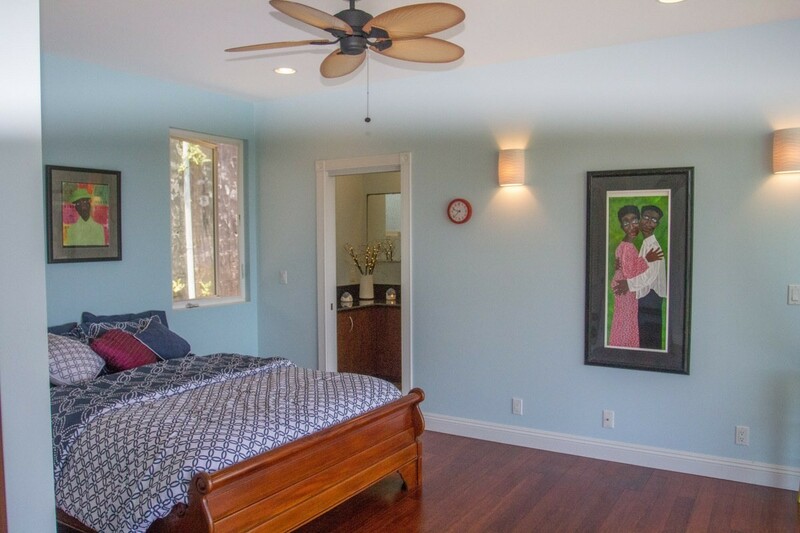 Two master bedroom suites are located at opposite sides of the home. A large front porch welcomes you. 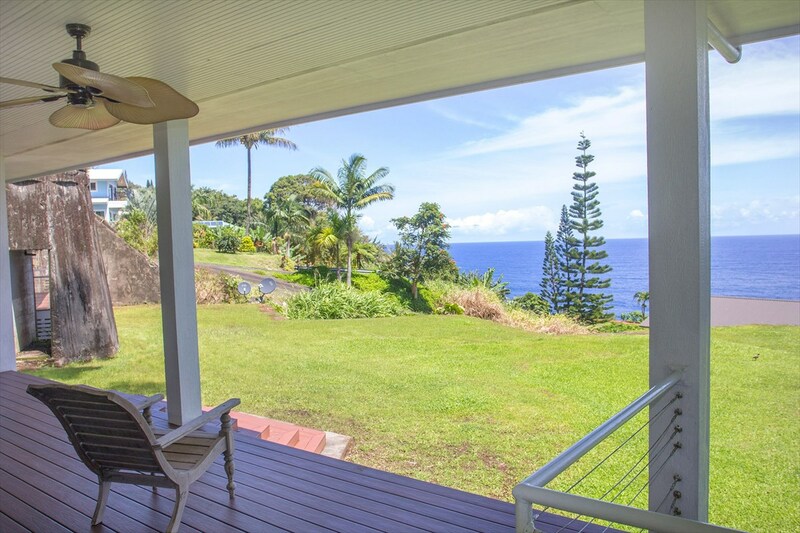 Relax on the lanai, listen to the sound of the waves and the waterfall. This is what living in Hawaii is all about. The entire home has been created to take advantage of the spectacular ocean view. 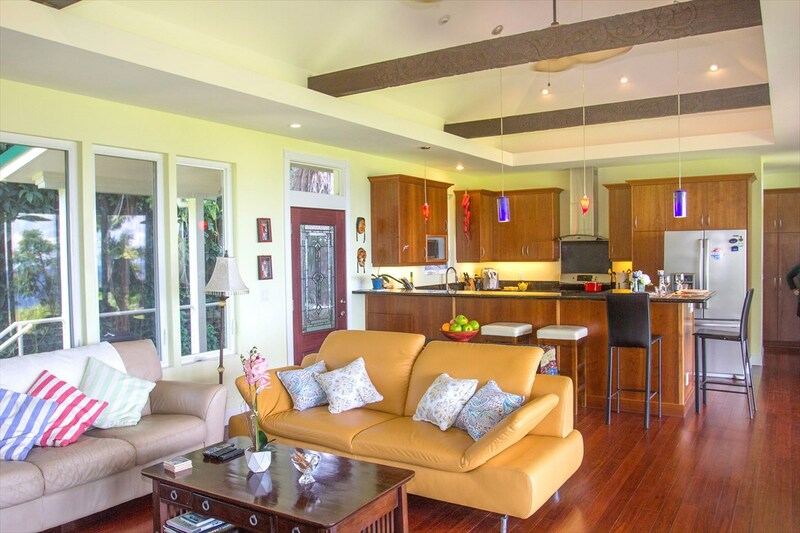 Step out onto the lanai that is cooled by the trade winds and built-in fans. In the great room, look up to the cathedral ceilings and you will notice massive hand-carved wooden beams from Indonesia. The floors are made of gleaming strand bamboo. 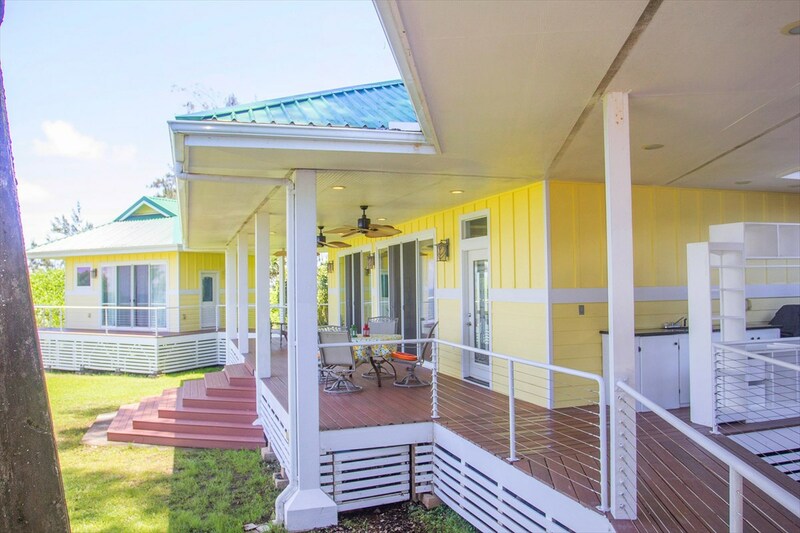 Move-in ready for a discriminating owner who wants plantation-style charm and modern amenities. 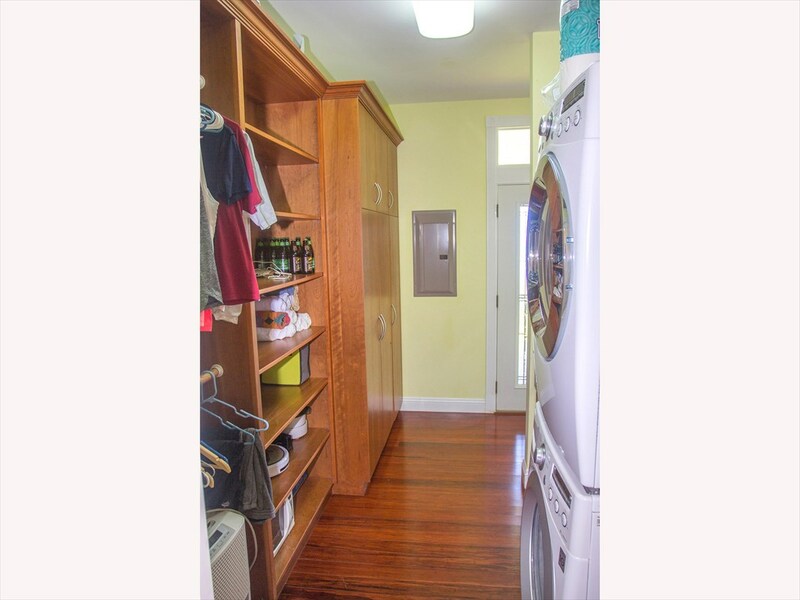 A laundry room with LG brand front loading washer & dryer has beautiful built in cabinets and shelving and a granite topped counter for folding. 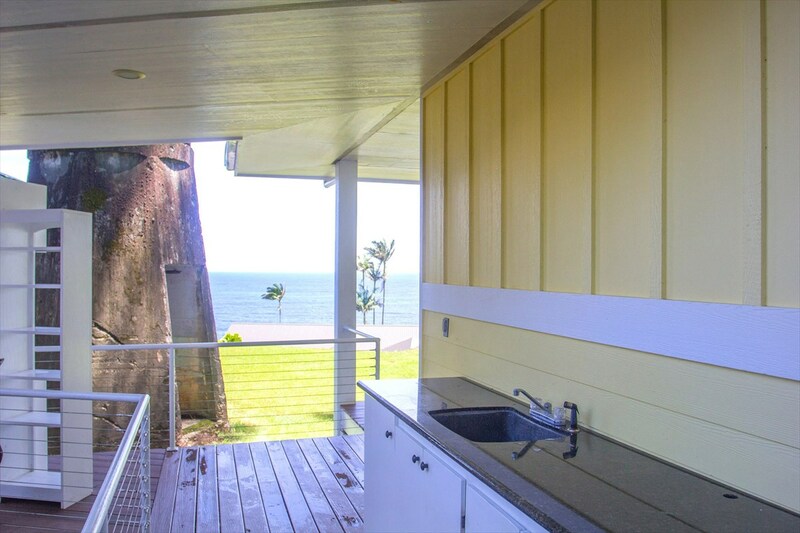 Each of the bedrooms is separate from the main living area, with its own bathroom and access onto the ocean-view lanai. 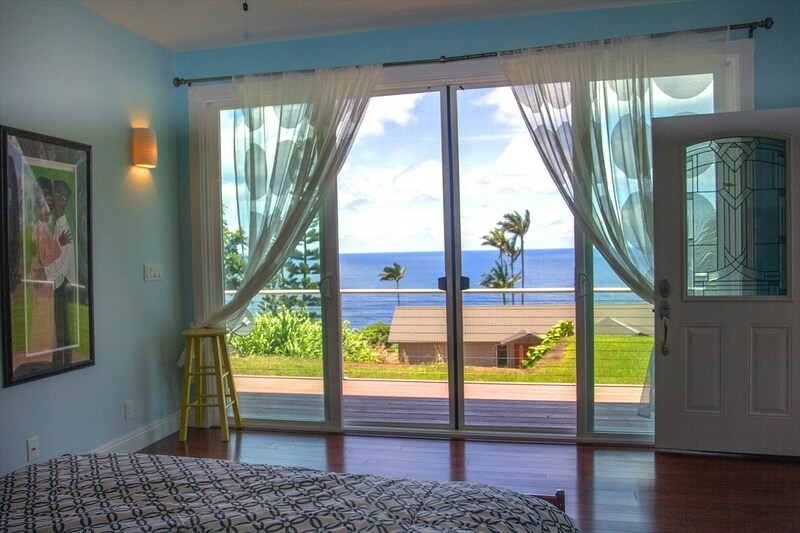 Expansive ocean-views are enjoyed from each bedroom. In the bathrooms reflexology stones have been thoughtfully placed in front of the basins. 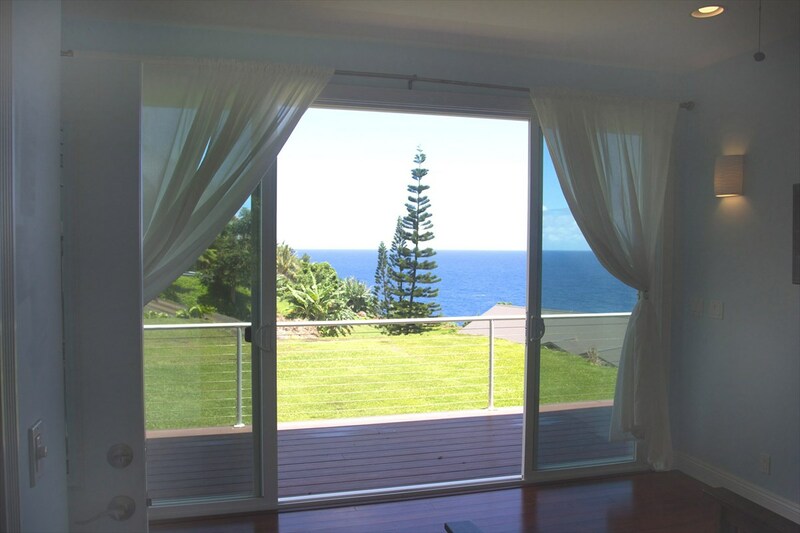 Looking at the ocean view from one of the bedrooms through the sliding doors. 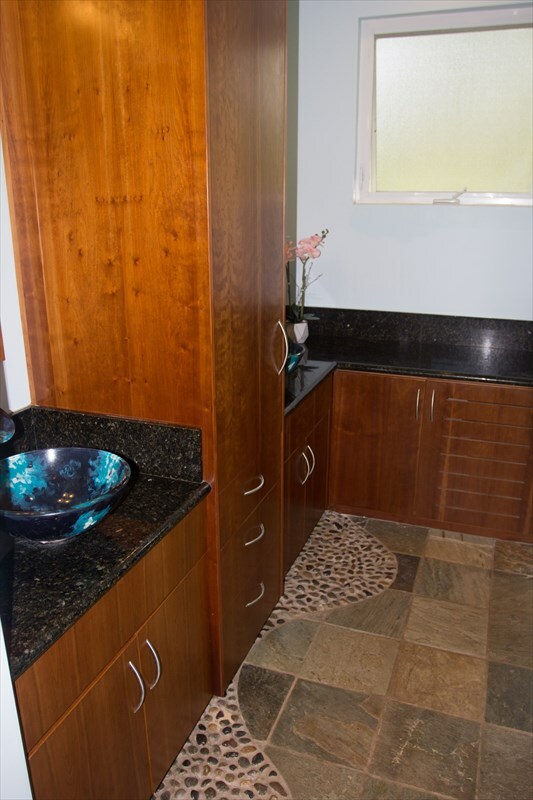 There is also a built-in outdoor kitchen area with sink, cabinets and granite counters. 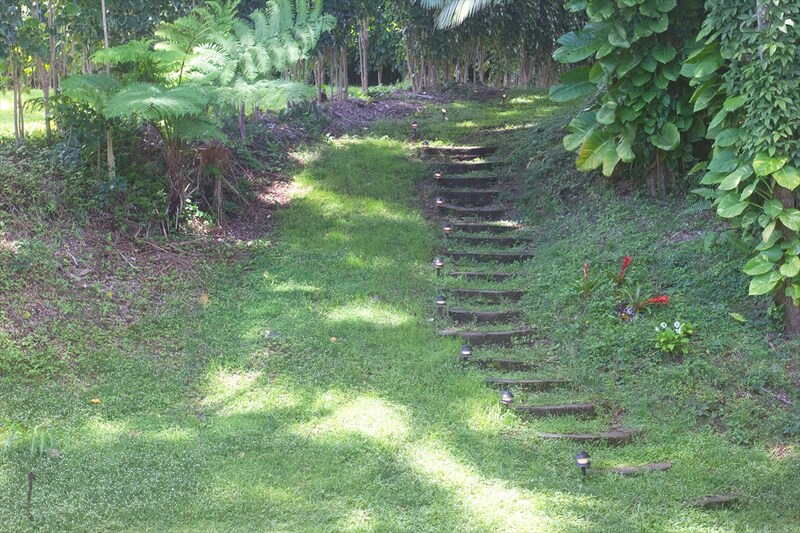 A garden pathway leads from the large open area to the home. Behind the home is a large, flat grass area. 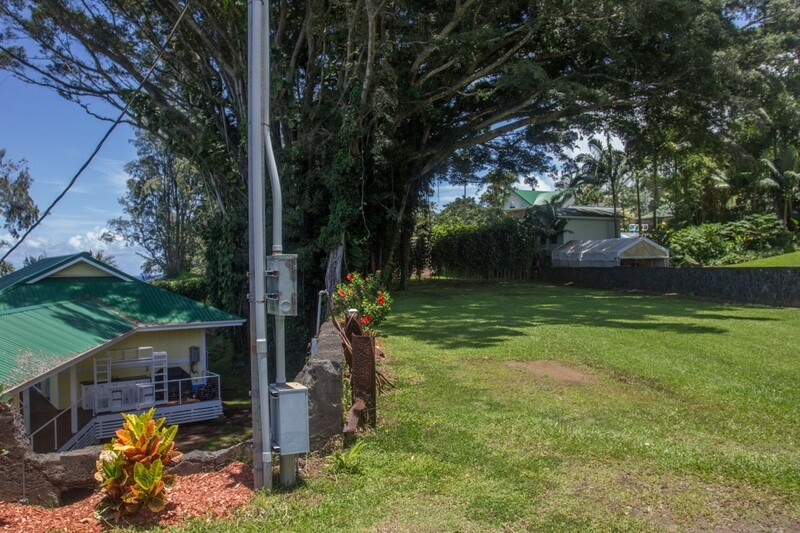 This property is over 1/2 acre in size. Features of the former sugarcane processing plant remain, and are cleverly included in the landscape as interesting focal points. This custom residence takes full advantage of an almost 180 degree ocean view. A very serene setting. Private and quiet. 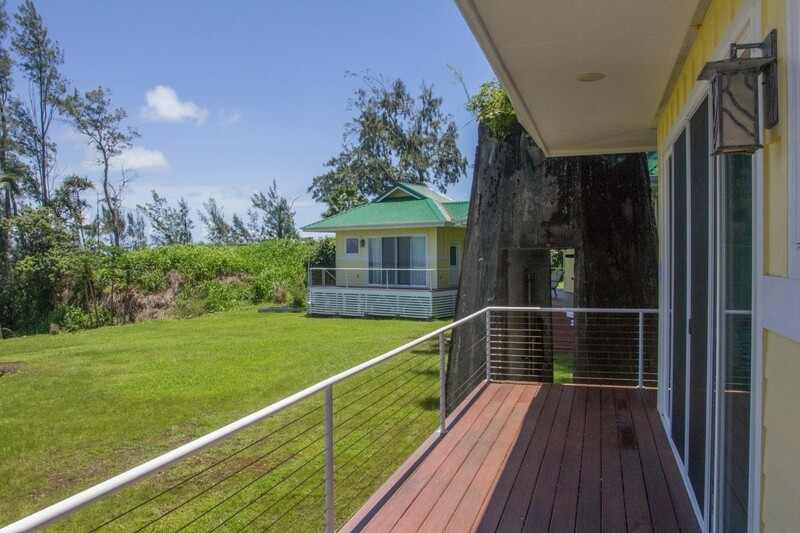 A uniquely designed home that incorporates historic plantation details with an awesome ocean view. This home was created to celebrate both the rich history of the area, and the natural beauty. 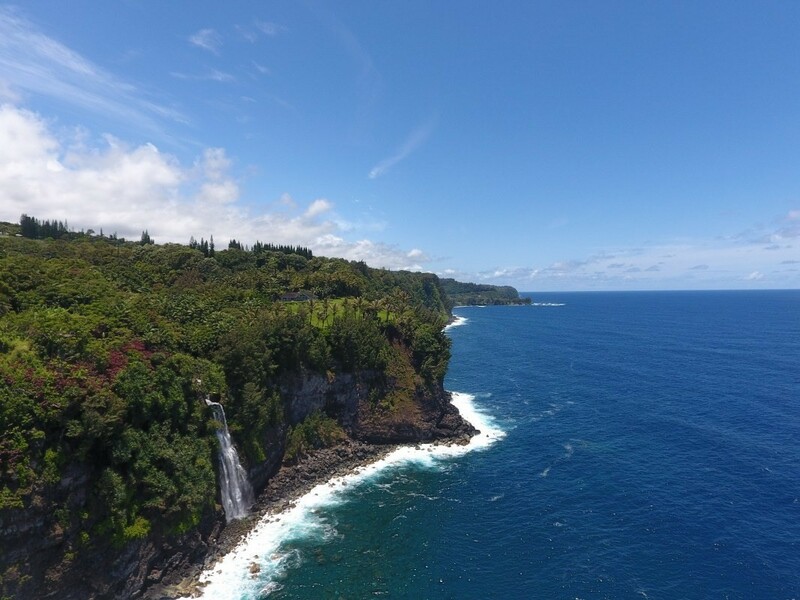 The Hamakua Coast. Known for beautiful scenery and waterfalls. Between the towns of Hilo and Honokaa.